Professor Gough is a critical Social Psychologist and qualitative researcher interested in men and masculinities. He has published many papers on gender identities and relations, mostly in the context of health, lifestyles and well being. 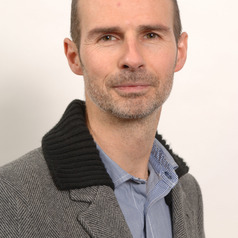 Professor Gough is co-founder and co-editor of the journal Qualitative Research in Psychology; he edits the Critical Psychology section of the journal Social & Personality Psychology Compass, and is associate editor for the journal Psychology of Men and Masculinity. He was awarded a fellowship of the Academy of Social Sciences in 2016. He has co-authored/edited three books in the areas of critical social psychology (with McFadden, McDonald: 2001/2013), reflexivity in qualitative research (with Finlay: 2003), and men's health (with Robertson: 2009). He has put together a five-volume major work on qualitative research in psychology (Sage: 2014), co-edited a book on chemically modified bodies (substance use for appearance purposes; with Hall, Grogan: 2016), and edited a new handbook of critical social psychology (Palgrave: 2017). Current projects include men’s experiences of infertility, men’s accounts of mental health issues, and men’s grooming and appearance-related practices. In 2016 Brendan was conferred as a Fellow of the Academy of Social Sciences.